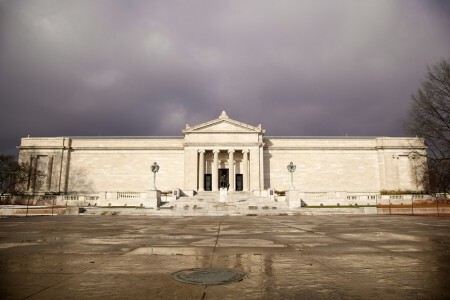 Always forward-thinking when it comes to technology, the Cleveland Museum of Art has implemented mobile-optimized donation/membership pages using the Big River platform. With mobile web expected to overtake desktop web usage by the end of 2014, experts are urging nonprofits to optimize their web pages for mobile visitors; the CMA is taking action. In November 2011, the CMA partnered with Big River Online to launch new membership pages. Since then, membership has doubled and median monthly donations increased 53%. Despite this success, the museum is not resting on its laurels. It is ensuring that it can engage members where they spend more and more time – on mobile devices. While charitable giving via mobile devices currently accounts for a small percentage of overall giving, the rise of the millennial donor means nonprofit organizations need to be prepared to engage a new generation of constituent. According to the 2013 Millennial Impact Report, 83% of people aged 19-35 use smart phones and of those about 46% are engaging with nonprofits via their mobile devices. This trend is expected to continue and broaden in scope and nonprofits are taking notice of these findings. With the launch of the new mobile-friendly interface, would-be members of the Cleveland Museum of Art are able to easily purchase a membership via smartphone and information will be processed and acknowledged when they arrive at the box office 15 minutes later. This is the level of convenience to which people have become accustomed when it comes to everything from movie theaters to bookstores. Increasingly, they will find the same level of convenience offered by the nonprofits they care about.